with that brand? Well after trying the Bobbi Brown Highlight Powder in Pink Glow (reviewed here) I was properly obsessed! 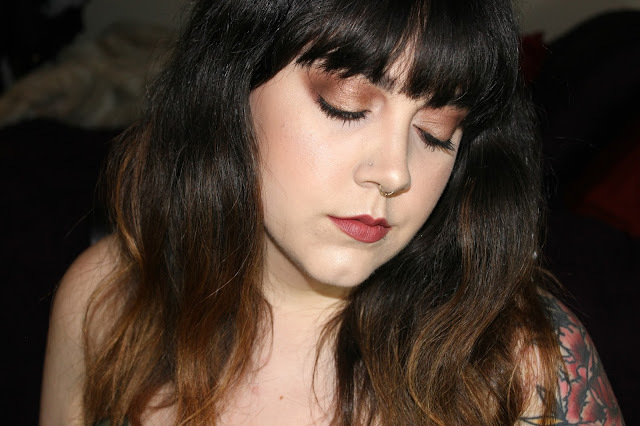 It was such a lovely highlight that I wanted to glow more with Bobbi Brown. As it is the time of year for Limited Edition products/collectors items for us beauty junkies, I saw this Shimmer Brick in Pink. I have been eyeing up BB Shimmer Bricks for about a year and as it 'tis the season to glow I jumped in with my Sephora 20% off VIB Rouge event! This product is priced at $47 and yes, that's a lot for a highlight/blush/blush overlay. The thing is, Bobbi Brown products are just stunning. Honestly, I am wowed every single time with one of the items from the range due to there quality. This one says that it's handmade, individually in Italy. I know that BB is all made in Italy, but none of my other products has the "handmade individually" part on the packaging or online. I have tried to dig deeper into that but to no avail. Bobbi Brown is a big supporter of the natural beauty look, in fact she rather kicked it off in the '80s as I said in my last post featuring one of her products. It's also notable that the phrase of "My lips but better" that we all in the beauty world say so often when finding a beautiful, natural lipstick was the start of Bobbi Brown Cosmetics. We were coming out of the '80s and Bobbi was ready for lipstick that looked like lips so in 1991 she hit the shelve with Brown Lip Color "a lipstick that looked like lips, only better.". Today Bobbi Brown Cosmetics is the #1 makeup artist brand founded by a woman. With a history as lovely as this how could you not expect great things? I was, as always, pleased. This LE shade from the Bobbi Brown Cosmetics range sports a simple, glossy, black case with the silver BB crest. I kind of love that it says "Est. 1991" because that is when I was born and my love of makeup began that year, around 8 months old if you ask my mom, when I found my first lipstick in her purse. The color is lovely and reminds me of a softer, more radiant version of Nars' Sin, one of my favorite blush shades. I have been wearing this as a blush, alone, to see the wear time and pigmentation. To start you have a very glowy, healthy look to the skin that catches the light looking like a Victoria's Secret model. I would say after a very long, eighteen hour day the glow has gone from my cheeks. I noticed it started to really fade after around hour eight. There is a small amount of pink left on my cheeks and it never looked broken up, just disappeared, as blush can do. 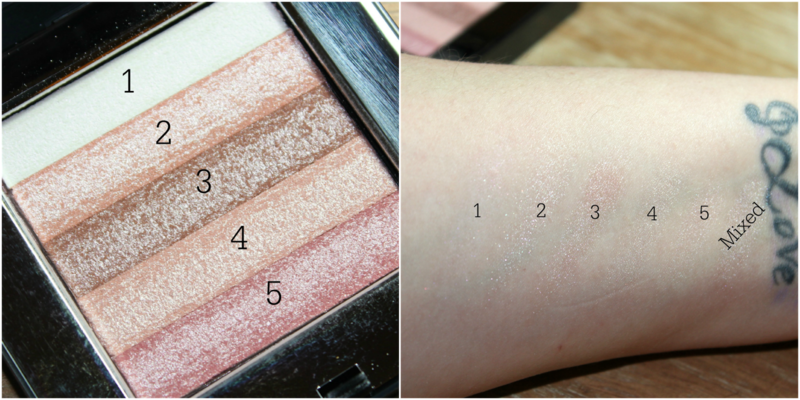 I really enjoy this Shimmer Brick with Pink Glow for a stobing effect. Over all I am so glad that this candy pink shade was the Shimmer Brick I broke down for and picked up. I can't wait to try this as an overlay. Keep an eye out in an upcoming FOTD! What do you think of products like this? 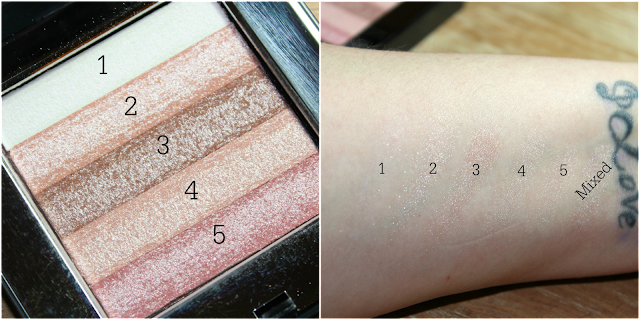 Do you have any Shimmer Bricks and if so what shade? I can't wait to hear your thoughts on this gorgeous product.